Figure 3.20. 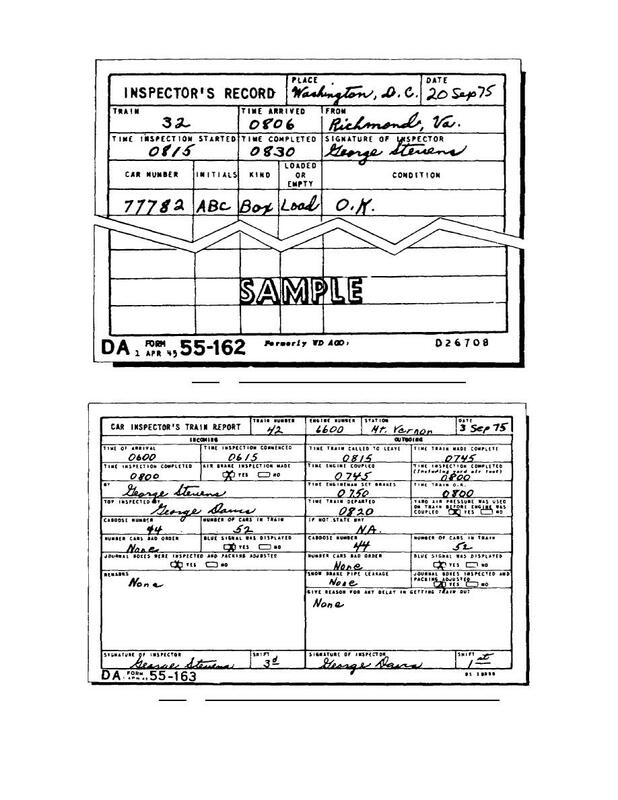 Inspector's Record, DA Form 55162. Home > Transportation Reference and Training Manuals > > Figure 3.20. Inspector's Record, DA Form 55162. Figure 3.19. Air Brake Defect Tag, DA Form 55161. Figure 3.22. Bad Order Card, DA Form 55164. Figure 3.20. Inspector's Record, DA Form 55­162. Figure 3.21. Car Inspector's Train Report, DA Form 55­163.